The aim of this article is to present the project framework for constructing a Software Process Simulation Modeling (SPSM) system. SPSM systems can be used as a virtual environment for the selection of methods and tools of project management in IT support organizations. The constructed system simulates the Scrum methodology, including the management processes and the project roles. For the implementation of Scrum processes, the Scrum ontology is proposed and for the competences of the roles of project team members, a fuzzy-logic representation. As a result the authors present the hybrid fuzzy ontological system as well as a prototype built during project work, allowing the initial verification of the proposed solution. The framework of the design processes proposed in the article was verified on the basis of real courses of project management processes in a large IT company. For the planning and control of manufacturing processes in IT projects, Software Process Simulation Modeling (SPSM) environments are used. The first works on the subject appeared relatively long ago, and covered the importance of these environments for software development teams. The first publication in this field appeared in 1998 (after the ProSim4 workshops). It was Kellner and Madachy who, in their work, presented an analysis of the construction and meaning of these environments [Kellner et al.1999]. They suggested treating the development environments as a group of processes - a logically connected structure of people, technologies and practices organized to perform a task. They treated SPSM as an abstraction of a real or conceptual development system. 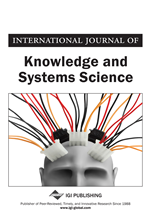 Research in the development of SPSM in the last 10 years concentrated on three main areas [Zhang et al.2008]: adapting models for development environments, improving the performance of general models and the creation of hybrid simulation models for the software development process. These areas were analyzed by the authors of the paper before proceeding with the design of the system. Other works primarily of a synthetic character [Zhang et al.2008], [Zhang et al.2010] on the state of the development of these systems demonstrate the need to focus on the third area, in which the authors see the greatest potential for research and the application of solutions. Hence, the authors propose the development of the hybrid approach proposed in such works [Zhang et al.2008], [Zhang et al.2010] as an ontological-fuzzy project framework. The system proposed in the article is treated as a virtual project environment to support the work of those who manage project teams in the planning and monitoring of projects. It relies on the agent-based design paradigm and uses intelligent inference mechanisms to support its functionalities. It can be applied in the work of project teams (e.g. in an IT support organization) and implemented on the basis of any operating system, as well as IT infrastructure [Czarnecki and Orłowski2011]. The main application of this system is seen in the planning of IT projects at the stages of constructing the team, defining tasks for the team and selecting methods and tools for the development and management of projects. This approach helps the project manager to plan the budget, schedule and scope of the project for any client requirements. The process of building a project framework of SPSM was divided into four stages. The first stage involved defining the system variables (Figure 2, A fragment of the development process definition) to determine the project framework and the possibility of applying ontologies and fuzzy modeling in the developed model. In the second stage, the Scrum [Schwaber2004] glossary was built and ontologies were developed for the needs of the system. In the third stage, competence patterns were used for the construction of a fuzzy inference model for the selection of project team members.